Recent years have witnessed a phenomenal growth and greater acceptance of virtual assistants in the works fronts. 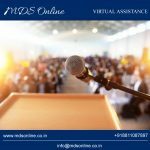 In the present global market scenario, wherein multitasking ability with efficient management skill of workers plays the key to success for any organization, the importance of virtual assistance is realized. 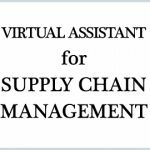 Enabling organizations to reduce their overall expenses, these exceptionally professional virtual remote assistants can handle a wide array of tasks to support and streamline the business. The virtual assistant market is on the rise and as per a report from Tractica, the active customers of virtual assistant will grow from 930 million users in 2015 to a whopping 8 billion worldwide by the end of 2021. While 2018 has been a quite eventful year in the virtual world, let us have a look at some expected Virtual Assistance trends that the world is going to embrace in 2019. 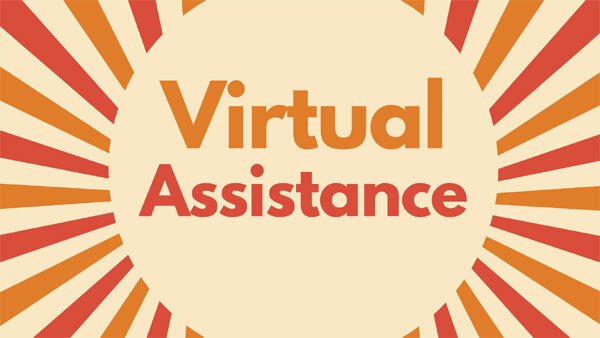 A virtual assistant (VA) is an individual who provides support to an entrepreneur or a business from a remote location. Typically working from his home-office, the virtual assistants can take care of various tasks for their clients. These tasks generally include administrative work, social media management, handling customer issues, sending emails, conducting research, uploading blogs, transcription, preparing presentations and many more. Since most of the Virtual assistant work the in interim base, organizations can use their services based on their requirements. Hiring remote assistance service increases productivity while lowers the total business cost. Instead of fixed salary, the Virtual assistants only charge for the work they do. Let’s have a glimpse of some of the expected trends coming to the virtual assistant workforce in 2019. The small-scale businesses are all set to experience a boom in the future as more and more individuals are opting for entrepreneurship as a career option. Owing to this increased popularity and growth in this sector, the business owners would require a large number of proficient management assistants to streamline their work process. Small enterprises and start-ups will be one of the main markets to virtual assistants as neither the business owners have the capacity to hire regular employees for his job nor they handle everything single headedly to streamline his work. Providing a lot of employment scope to virtual assistants, the growth trend of these sectors is expected to continue in 2019. With the changing behaviour of today’s online consumers, blogging has emerged as a most influential online content marketing tool, which is pivotal to boost a company’s online presence, especially small businesses or start-ups. If strategized properly, this tool not only helps the business to gain an edge over their competition but also obtain customers. 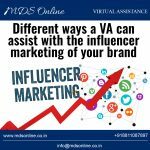 When it comes to creating high- quality content regularly to boost your online visibility, outsourcing this job to professional virtual assistants would be a great move for your business. Besides, creating useful content to promote your business, these virtual assistants can help you to attain several business goals in many ways including the regular posting of blogs, updating plug-in, keep the Word Press updated, taking care of SEO strategies, using social media to widen the reach of your blog posts etc. Considering the benefits of blogging for any business, outsourcing this job to virtual assistants would be a great choice. Companies would continue to develop strategies to cut down costs and overhead expenses while increasing productivity and revenue. When it comes to lowering the business cost without hampering productivity, hiring Virtual assistants would be advantageous, as business owners need not pay any additional benefits to them. While outsourcing work to online remote assistants, neither you have to pay for internet bandwidth connection, extra phone line, rent, travel cost etc nor you have to invest money or time on interviewing and training a new worker. As estimated, opting for a virtual assistant over a typical in-office employee can save up to 78% in total costs per year. To get value for money, more and more businesses and industries would be turning to virtual assistants in the coming years. One of the most important virtual assistant trends the world is going to experience in future is the rise in flexible working hour concept. With exhausting daily commute and increased work stress taking a toll on people’s health, the flexible working concept is becoming rapidly popular. Enabling employees to work at their convenience, the flexible working concept generates beneficial outcomes for any business. Therefore, more and more businesses are inclined to hire such virtual remote assistance services to ensure optimum productivity while curbing employee turnover rate. There are people around the world who look for less challenging jobs to support their insufficient pensions even after retirement. Hiring the experienced retired professionals as virtual assistants or workers, business organizations not only give them a chance to earn additional money but also bridge the skill gap in the organization and ensure increased productivity. Considering their years of experience and expertise, more and more organizations are hiring the retired people as virtual assistants. This trend is set to continue in 2019. Owing to the manifold benefits of working as virtual assistants, not only more and more workers are opting for VA jobs but also many organizations are now offering more virtual positions than in-office. Working on projects, as virtual assistants not only help employees to maintain their work life balance but it also allows companies to enjoy increased productivity while curbing the overhead cost. Hence, considering this benefit, the coming years will see businesses turning more to virtual assistant outsourcing services. Considering the increasing growth of the virtual assistance industry in 2018, it can be predicted that the upcoming years is going to witness a vast change in the way organizations perceive virtual assistants. These above-mentioned trends of virtual assistance industry indicate the manifold benefits of hiring online remote workers for businesses in 2019. 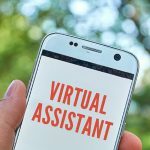 The overall demand for virtual assistants will be on the rise in 2019, however, specific skills such as writing, communication and social media marketing are expected to be in greater demand in the coming years.